Every year, the cattle breeders of the border regions of northern Tajikistan face the same problem with the onset of spring. They are puzzled by what pastures to drive out their livestock in the spring-summer period, so that their herds return to them in the same amount that they gave to the shepherds. The matter is that the territories allocated for pastures in these areas are limited, and local residents at their own risk are forced to trust grazing animals to Kyrgyz shepherds. Before the collapse of the Soviet Union, residents of Isfara, Kanibadam, Bobojongafurov, Jabbarrasulov districts of Tajikistan had freely grazed their livestock in pastures adjacent to the territory of the Batken province of Kyrgyzstan. Nobody had been afraid to go to the territory of the neighbouring republic, because there had been no borders between them. According to Abduhalil Sharipov, the deputy chair of the Chorkuh jamoat (rural council) of the Isfara district of Tajikistan with a population of more than 36 thousand people, there is no place for pastures, and they are forced to trust grazing their Kyrgyz livestock that live next to them in adjacent villages Samarkandek, Aktatyr, and Aksai of the Batken region. ‘Every resident of our village has a verbal contract with them. No papers are signed. Nobody gives any guarantees. In the event of the loss of livestock, we have to accept it. Tajiks give mainly their own cattle to Kyrgyz shepherds. For a month of grazing a cow or calf, Kyrgyz shepherds take from their fellow citizens about $2.5, and from Tajik citizens - 40 Tajik somoni ($5),’ said Abduhalil Sharipov. 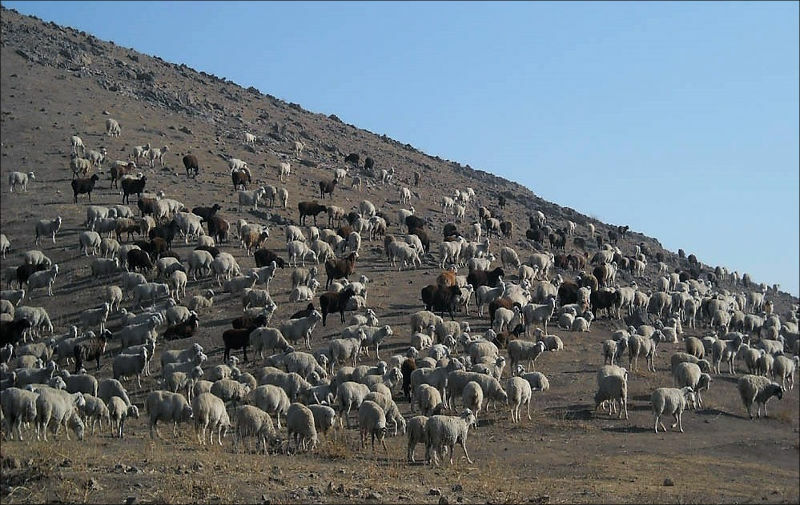 About possible lease of pastures Abduhalil Sharipov said there are no shepherds among local residents, while the access to the pastures in Kyrgyzstan is restricted. Chair of the Association of local farms of the Chorkuh Jamoat Negmat Olimov also confirmed that no guarantees provided to Tajik residents when their cattle is on the territory of Kyrgyzstan kept by Kyrgyz shepherds. Judging by the stories of the residents of the Chorkuh jamoat, the number of small cattle is decreasing from year to year, as its keeping has become unprofitable. Residents of the jamoat hold mainly cows to provide families with fresh milk and dairy products. Livestock breeding here is gradually dying out - the villagers began to rely more on growing fruit trees. The deputy chair of the jamoat Vorukh of the same Isfara district, Kirgizbai Ortikov said that the shepherds living in the neighbouring Kyrgyz village of Aksai traditionally graze livestock of the residents of their village since Soviet time. Tajik residents of Vorukh jamoat met with people from the neighbouring Kyrgyz village of Aksai during the joint celebration of the spring holiday Navruz, and ‘agreed that Kyrgyz shepherds taking care of their cows and calves, promised to return them whole and healthy. And in case of sudden death of animals, they will provide the owners with proof. If there is no documentary evidence, then they must compensate for the material damage,’ Kirgizbai Ortikov stated. 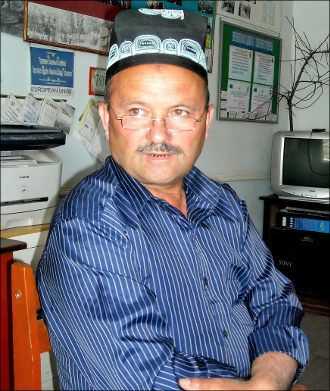 A resident of the village of Selkent in the Jabbarrasulov district ethnic Kyrgyz Mirzo Abdullayev says that 136 other ethnic Kyrgyz live compactly in their village. ‘We have trusted and tested shepherds. They graze livestock of the residents of the border villages of the Jabbarrasulov district almost all-the-year-round. The owners of pastures take from our shepherds a certain amount, the same for all tenants. There are no problems with crossing the border on both sides,’ Mirzo Abdullayev said. For many years, traditionally in summer and autumn the residents of Jabbarrasulov, Isfara, Kanibadam, Bobojongafurov districts drove their flocks to the pastures of Kyrgyzstan, where Tajikistan leased about 70 thousand hectares of land. Due to recent conflicts in Tajikistan along the border with neighbouring countries, including those related to grazing in border areas, and because of the lack of guarantees for the return of animals to the owners, many Tajiks are refraining from moving their flocks to the territory of Kyrgyzstan. In order to solve the pastoral problem, negotiations have been held between local authorities of the two neighbouring republics several times. However, they did not elaborate adequate results. 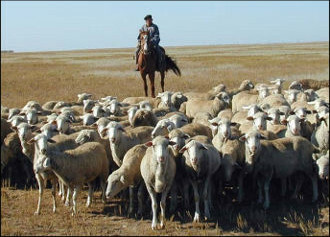 This is due to the fact that all pastures in Kyrgyzstan are privatised, and the interference of state bodies in their economic affairs is prohibited by law. The owners of pastures are completely free to choose the conditions for granting their lands. At the same time, as the chair of the association of pasture users of the Batken oblast Baatyrbek Eshmatov said to Fergana that Kyrgyz pasture owners are interested in letting their lands to citizens of Tajikistan. However, the access of Tajiks to the Kyrgyz pastures is difficult due to the fact that there is no agreement between Kyrgyzstan and Tajikistan on their joint use. 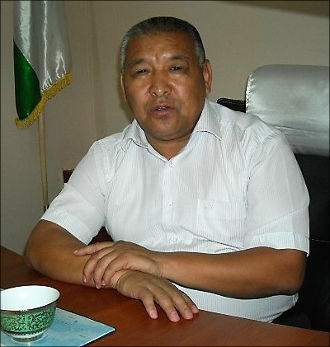 According to the head of the regional branch of the Pasture and Reclamation Trust of the Ministry of Agriculture of Tajikistan Komiljon Ibragimov, it is possible to satisfy the need for grazing within its own country with the rational use of pastures existing on the territory of the republic. However, cattle breeders do not think much about the state of pastures in a few years. ‘In order to save the land from erosion and preserve the biodiversity of pastures, it is time to think about their privatisation and transfer them to private hands. It is necessary to establish an association of users of pastures, to study the experience of Kyrgyz cattle breeders for their rational use. These associations should deal with the division of pasture areas, taking into account the number of livestock on the balance of local farms,’ Komiljon Ibragimov concluded.